Tommu Wiseau is an ever secretive and Louisiana-born filmmaker who directed, wrote and starred in the 2003 romantic drama ‘The Room’ with Greg Sestero. It’s a movie that has become a cult hit among film-lovers for all the wrong reasons, as it’s considered to be one of the worst films ever made. It follows the love triangle between banker named Johnny (Tommy’s character), his lying wife Lisa ( protrayed by Juliette Danielle) and his best friend Mark (who is played by Greg Sestero). Amongst the random subplots that seemingly have no relation to the plot itself, we see Johnny struggling to quash Lisa’s stories that she is the victim of domestic abuse. James Franco stars as the filmmaker while his brother Dave Franco plays Greg Sestero in ‘The Disaster Artist’; a comedic retelling of Sestero’s 2013 memoir and a look at the making of this iconic flick. Amusingly Tommy Wiseau and Greg Sestero also star in this new movie – though they portray characters Henry and the casting agent respectively. 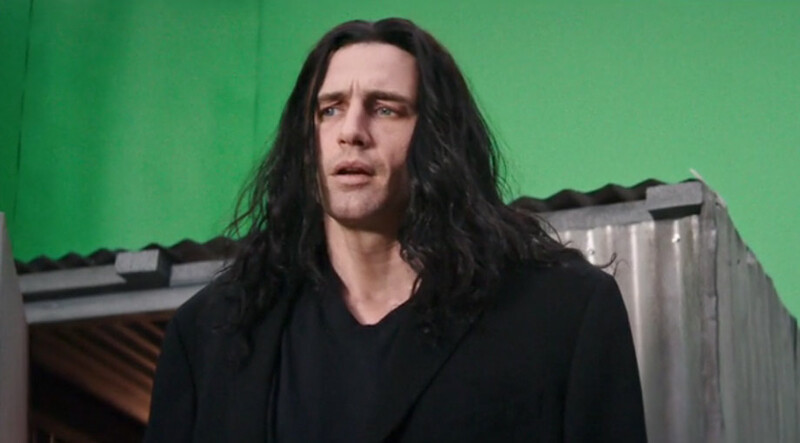 Plus, Sestero previously claimed that Wiseau would only agree to this adaptation if he would be played by either James Franco or Johnny Depp. Based on the 2013 book ‘The Disaster Artist: My Life Inside The Room, the Greatest Bad Movie Ever Made’ by Greg Sestero and Tom Bissell, this biographical comedy has been directed by James Franco (‘The Institute’, ‘Child of God’, ‘As I Lay Dying’) and written by Scott Neustadter and Michael H. Weber (‘500 Days of Summer’, ‘Paper Towns’, ‘The Fault in Our Stars’). It was nominated for the Golden Seashell at the San Sebastián International Film Festival and came second place for the Midnight Madness People’s Choice Award at Toronto International Film Festival. ‘The Disaster Artist’ will be released in the US on December 8th 2017.